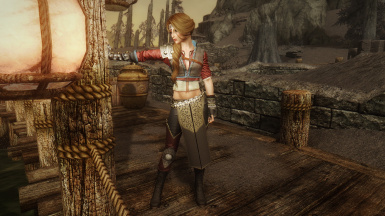 This is the new conversion of the Ciri DLC Armor in UNP conversion by ViciousSARR and CBBE Bodyslide by Levionte. Includes also original VS Ciri DLC Armor conversion with original VS skirt and undershirt meshes/textures. MAY NOT BE UPLOADED TO ANY OTHER SITE FOR REDISTRIBUTION OR ALTERATIONS. USED BY PERMISSION OF CDPR FOR USE ON NEXUS ONLY!!! No mod packs, no mod pickers. 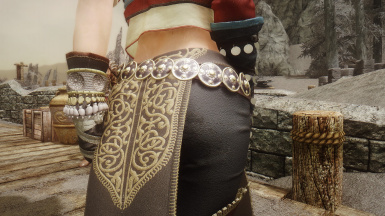 The Ciri DLC original meshes and textures are the exclusive intellectual property of CD Projekt Red. CDPR for their exclusive permissions to use Wither 1, 2 and 3 assets. 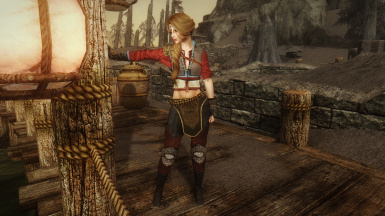 MoogleOutFitters for the rigging and new skirt meshes on new UNP and CBBE files. Levionte additional weighting and CBBE Bodyslide. 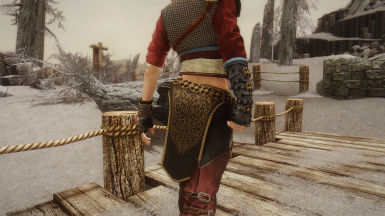 This is the new Skryim conversion of the Ciri DLC Armor. UNP conversion by ViciousSARR and CBBE Bodyslide by Levionte. 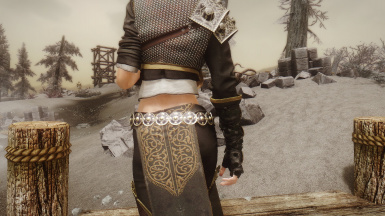 Includes also original VS Ciri DLC Armor conversion with original VS skirt and undershirt meshes/textures. Armor will evntually be included with the Cirilla (Ciri) Fiona Elen Riannon - Witcher 3 Voiced Follower by Levionte. New UNP/CBBE Bodyslide versions include original Vested Skirt meshes by MoogleOutFitters used by permission, with weightsliders by Levionte. 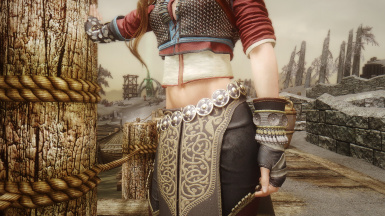 Main body armor and undershirt meshes property of CDPR. Two versions of the armor: Skirted and Non-skirted with 2K Witcher diffuse and specular mapping. There are four colour variants for each UNP and CBBE Bodyslide: Aqua, Grey, Original, and Ranger. Additional colours may be added later. And some additional meshes for a later update to the project. 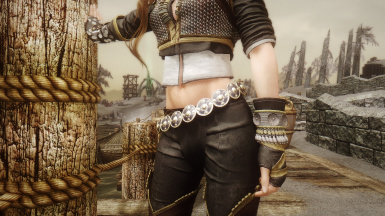 Original VS Ciri DLC Armor is just the original mod I presented last year which was a conversion off Shockyy's 7base model. No updates have been made at this time. There is a newer version of it not yet completed. 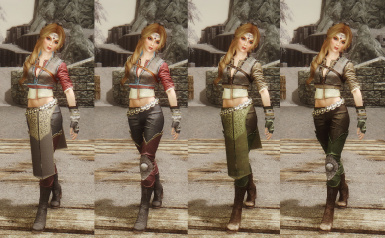 Includes the new UNP conversion with the original meshes/textures I made for the Vested skirts and undershirt. This was the version included originally with Levionte's Cirilla voiced follower of TW3. The Original UNP can be used in game along with the new UNP version. The original will show up in the inventory under the title "VS Ciri DLC" to differentiate it from the new version. So you can use both if you want or just one. All are craftable at forge, under leather. 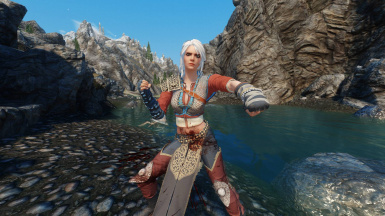 New UNP/CBBE listed as Ciri DLC. Original UNP listed as VS Ciri DLC. Screenshots take with Rudy ENB. THIS IS ALREADY COMPATIBLE WITH SSE. AN SSE SPECIFIED PORT WILL NOT BE MADE, DUE TO IT ALREADY BEING COMPATIBLE. 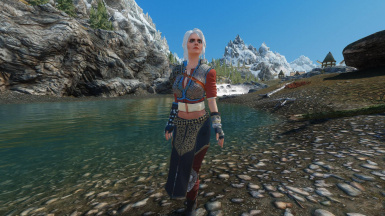 THE LEVIONTE "Cirilla (Ciri) Fiona Elen Riannon - Witcher 3 Voiced Follower" (BOTH SSE AND LEGENDARY) COME WITH THE SAME ARMOUR. ACTIVATE EITHER MY PLUGIN OR LEVIONTE'S WITHIN SSE AND IT SHOULD WORK AS IT DOES WITH LEGENDARY SKYRIM. 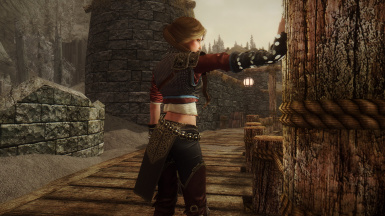 PLEASE, FOR CONTINUITY AND UPDATES BY LEVIONTE AND MYSELF, DO NOT ASK FOR PERMISSIONS TO PORT TO SSE. THESE ARE THING WE WILL HANDLE OURSELVES IF WE CHOOSE TO, IN THE FUTURE. NMM, MO, or manual. Your choice. For the CBBE Bodyslide: NiOverride or Racemenu. For the old UNP: HDT HEELS. CDPR for their exclusive permissions to use Witcher 1, 2 and 3 assets. Translations welcome. Please contact me first.